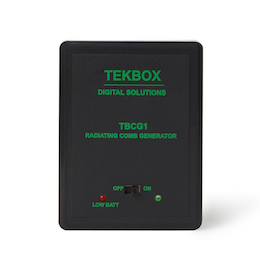 The TBCG1 is a radiating comb generator with an internal antenna and a base frequency of 100MHz. It radiates a comb spectrum characterized up to 6GHz. The comb generator is built and characterized to serve as a rough reference for testing radiated noise measurement set ups in anechoic chambers, TEM/GTEM cells, shielded chambers, etc. 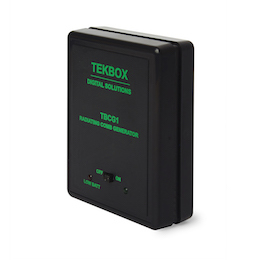 It is a portable device, powered by a 9V alkaline cell.